Diverse as it is, car loan in the Philippines has never been the same again since the introduction of the new scheme called “car loan without taking your car”. Other lending companies have evolved since then. 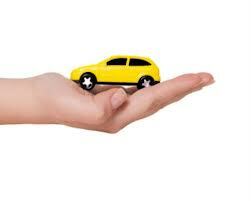 Some financing companies and micro business loan firms have changed the over all outlook and processing of auto loan. There are those who have changed the terms for which using the vehicle as collateral to get cash has sometimes become an alien in the ears of those who want to apply for the said collateral loan. A company provider I have in Makati has changed the way it is called into OR CR loan. Hence, many borrowers looking to use their vehicle were sometimes bewildered and surprised upon arriving at my online websites that cater to car loan application. There are those who even question and ask me 2 or more times if my car loan provider will take the car or not and if I am 100% sure that only the OR CR will be the collateral and not the material vehicle itself. In all this, I have answered willingly, YES! the company won’t take the car and you will only use the original OR CR for collateral and that they can still get to use the vehicle anywhere and any which way they want. Well, so much about the introduction today because what I would really like to arrive in to is to be able to explain how a company car can be used to apply for one of my collateral loan products using an auto. This is the corporate car loan. It is where any individual, corporation or partnership whose, name of the business appears in the OR CR copy of the vehicle and in LTO verification database may be able to use the same vehicle to apply for car loan. I will be enumerating one by one the details from basic requirements to documents needed to be produced to qualify to apply to get cash loan. At the end of this article, I hope to be able to shed light to those who owns part of a company share and would like to use their company car service to apply for loan. Board resolution wherein at least majority of the board members of the corporation will sign a resolution allowing any member of the business to use the company vehicle to file or apply for a loan. Documented source of income – for those as board member of the company, you will need to produce photocopy of the documents listed above for corporate car loan pre qualifying requirements. Supporting source of income – if with work – COE and 3 months latest payslip / if with business – DTI business permit and 3 months latest bank statement / if with property for rent – provide contract of lease and 3 months latest bank statement / if with remittance – 6 months latest remittance receipt (if from money transfer) and if bank to bank transaction – 6 months latest bank statement. Co-borrower – A nearest relative with regular and documented source of income is needed only if the principal borrower had no other source of income or does not have much capacity to pay for the loan. Document needed for the co-borrower are 2 valid IDs, proof of billing (if not living with the borrower) and 4 pcs of 2×2 pictures. Active checking account – This one is optional but will definitely give the borrower an edge if he or she had a good source of income. Otherwise, those who do not have enough to show as source of income and will provide a nearest relative co borrower will have to apply later on a joint checking account to use to leave the lending company issued post-dated cheques as monthly amortization payments.